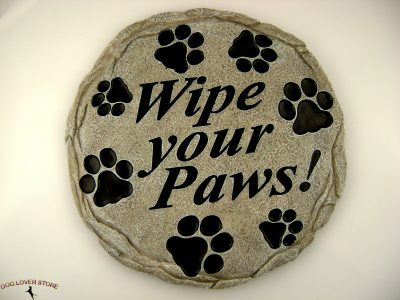 Outdoor Garden Dog Stepping Stone Wipe Your Paws! 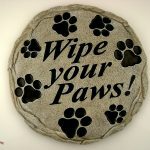 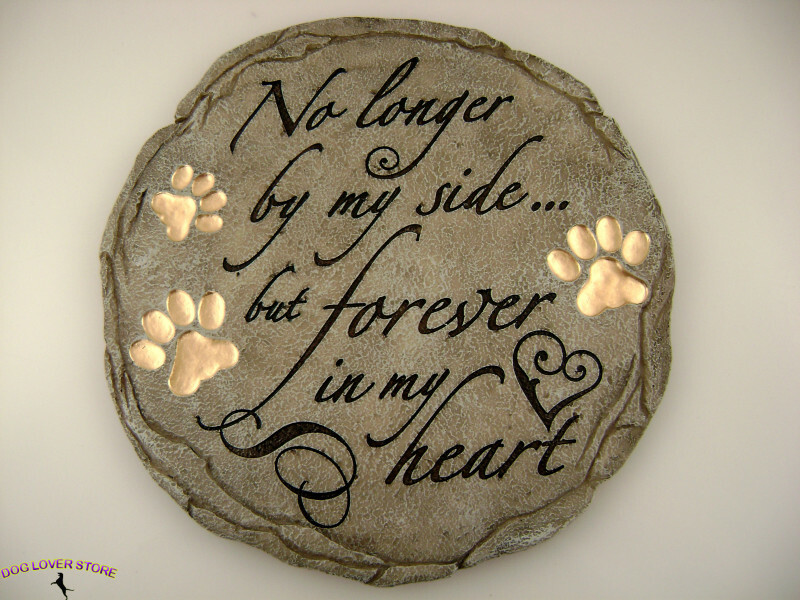 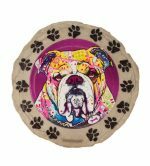 Display your love for dogs with these dog themed garden stepping stones. 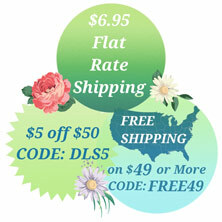 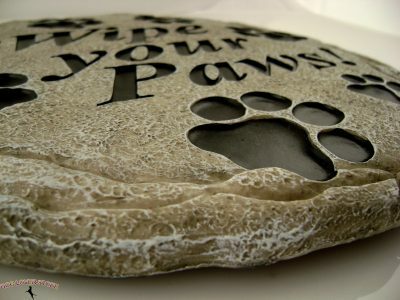 Each heavy duty resin stepping stone weighs approximately 2 pounds and 11 ounces. 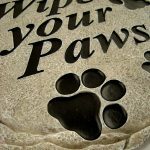 These stepping stones are weather sealed for long lasting outdoor use in the garden, along your walkway, or by the front door. 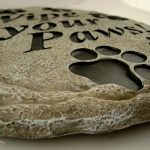 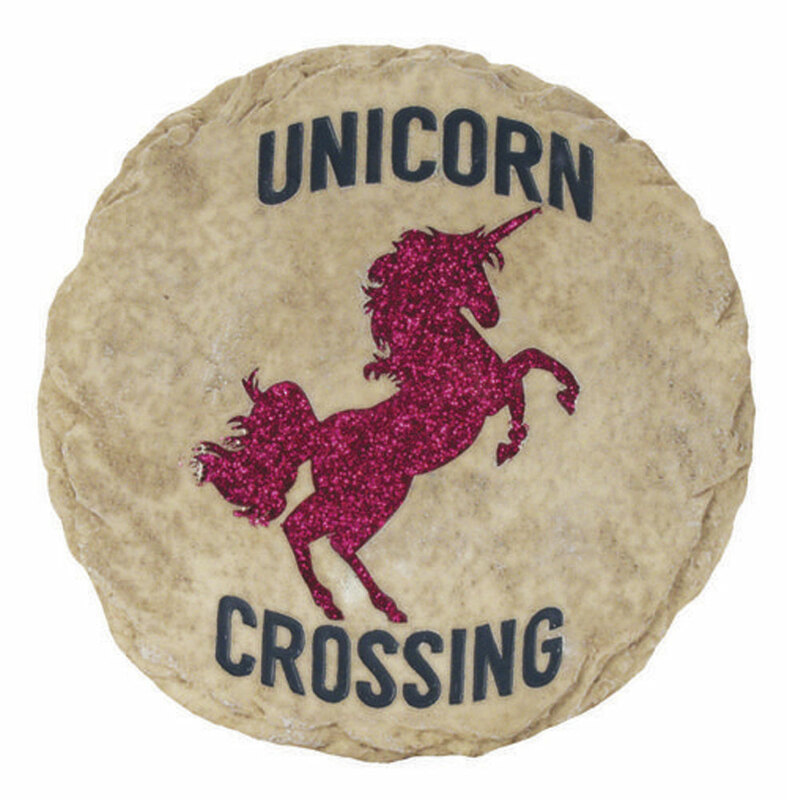 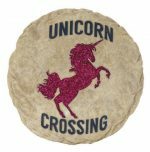 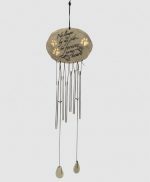 The beauty of these stepping stones is so great they can even be used as a plaque for inside your home to be hanged on your wall in your entry way or breezeway. 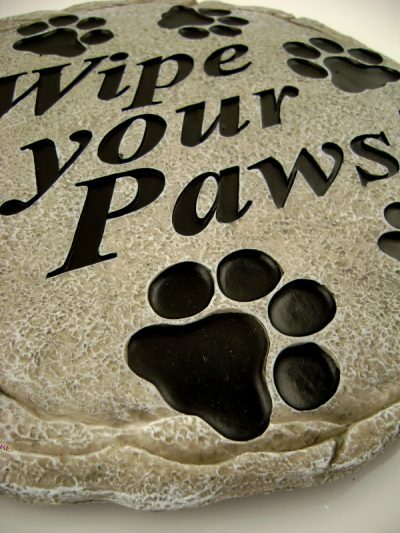 Each stepping stone kindly asks your guests to “Wipe your Paws!” which is displayed along side 7 dog paw prints. 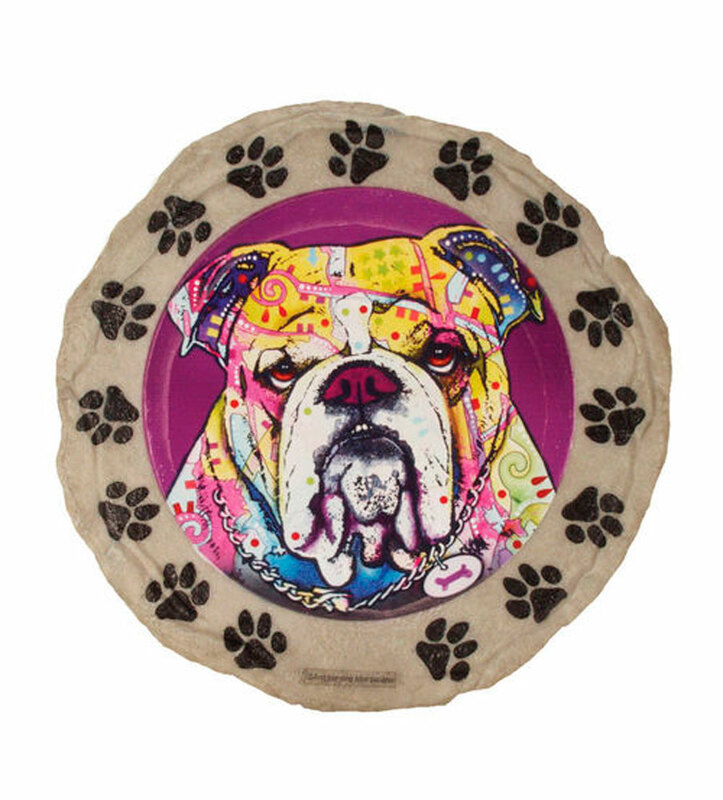 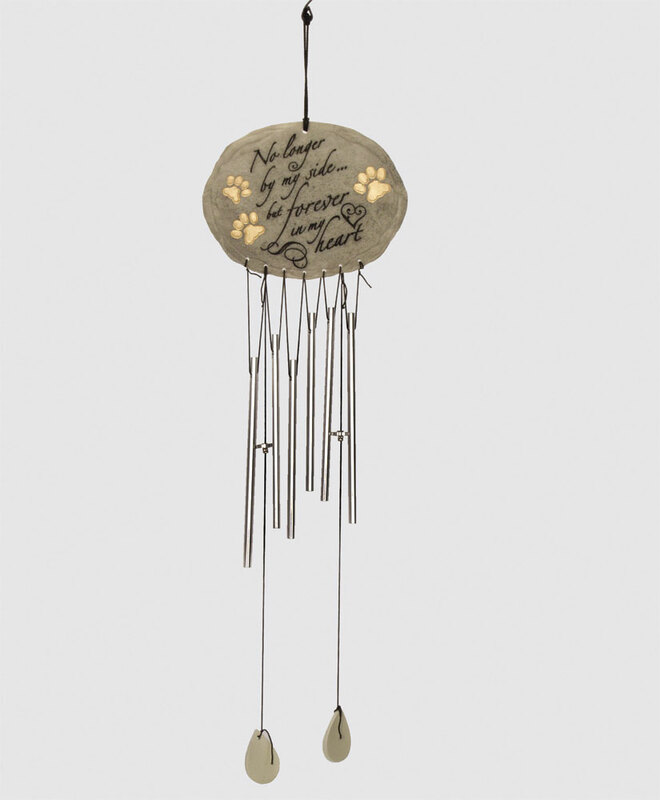 Each measures 9.5 inches across and 1/2 inch thick.